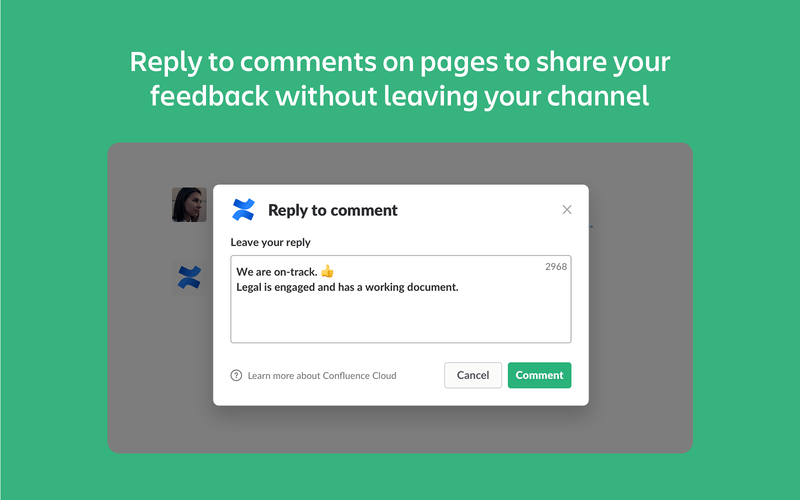 • Take action on content such as replying to a comment or liking a page without ever leaving SlackTo use this app in Slack, you will require an active subscription to Confluence Cloud. 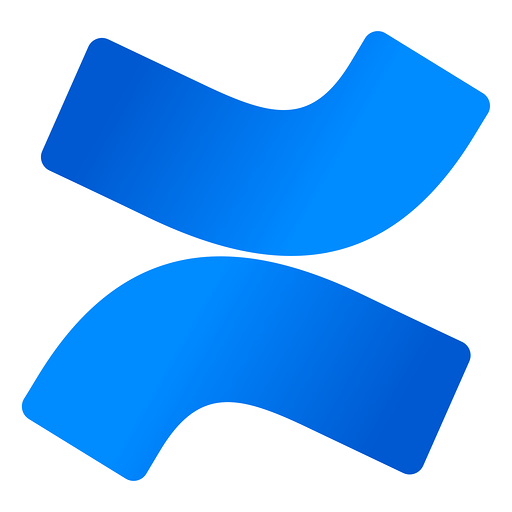 Confluence Cloud will be able to view atlassian.net, atlassian.com, jira.com, and jira-dev.com URLs to provide previews and other functionality. Confluence Cloud will be able to access basic information about your public channels (including names, topics, purposes, creation date, and latest message). Confluence Cloud will be able to access basic information about your private channels (including names, topics, purposes, creation date, and latest message). Confluence Cloud will be able to modify information about your private channels, including name and purpose, as well as archive and create new ones. 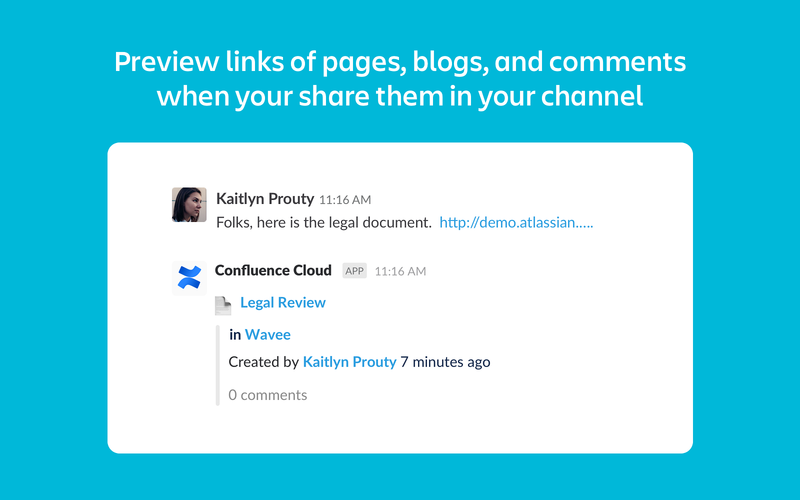 Confluence Cloud will be able to add link previews for messages containing atlassian.net, atlassian.com, jira.com, and jira-dev.com URLs. 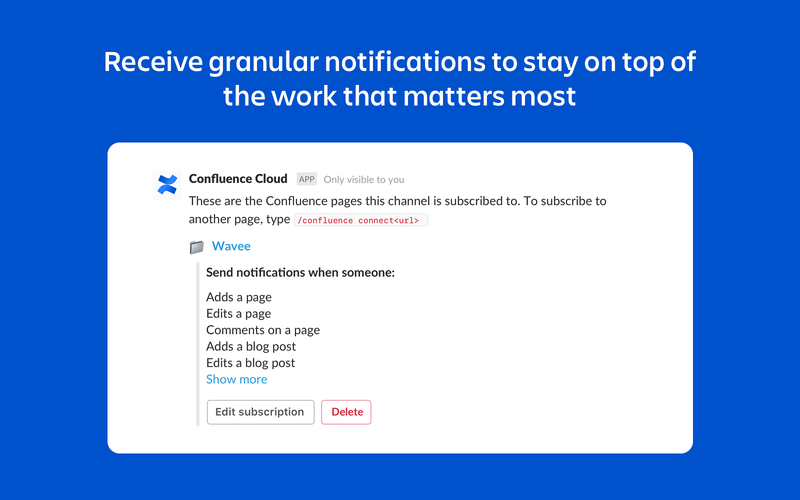 Confluence Cloud will be able to modify information about your public channels, including name and purpose, as well as archive and create new ones. 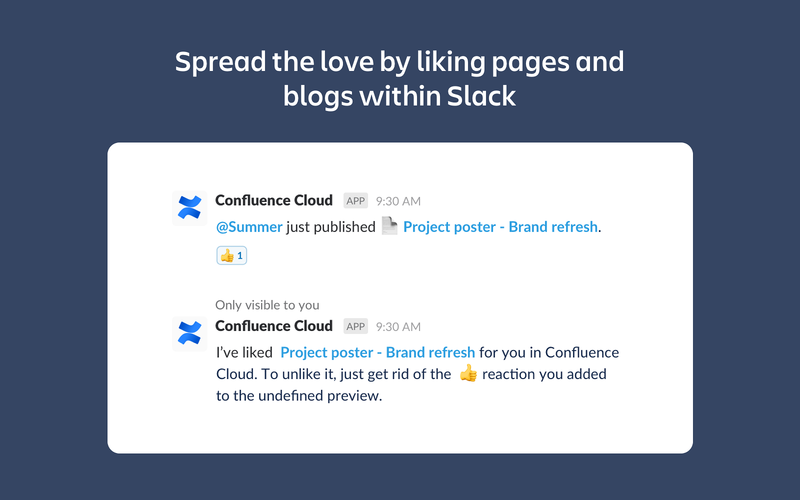 Confluence Cloud will be able to install a bot user that appears in and has access to your workspace’s directory. It can also post messages and view activity on messages in any channel it is invited to.